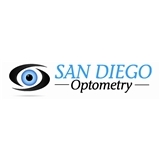 San Diego Optometry (San Diego) - Book Appointment Online! At San Diego Optometry, we provide exceptional eye care, including comprehensive eye exams, contact lens fitting and advanced treatment for many common optical conditions. We are also able to offer a full range of LASIK and Cataract consult, including co managing with NVISION. The dedication we have to our patients is demonstrated by our thoughtful and friendly attitude, our commitment to thorough, unhurried exams, consultations, and procedures. You can feel comfortable that you and your family will receive the highest quality eye care available and have it provided by people who want you to look your best and enjoy the process of the exam, selection and fitting of your custom eyewear. Please call us today (858)272-0020 and make an appointment today and we look forward to seeing you soon.